Bridezillas may be funny to watch on television, but nobody, least of all the groom, wants to be around women like that. That goes as well for grooms who act out of control when planning their wedding. Yet many prospective brides and grooms do strange things when it comes to planning a wedding. And some of them torpedo their chances at getting married by acting like a knucklehead when planning the wedding. 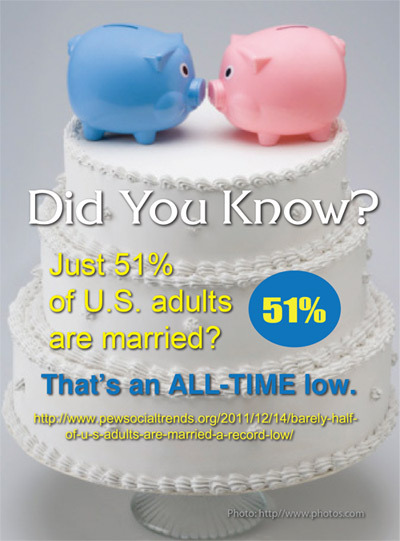 Others may start out their marriages with issues, some of them financial due to out-off-control spending for the wedding. There is a better way to start out a life together than to be throwing hissy fits to get your way. But even if you and your future spouse are planning a reasonable wedding with a small budget, you still could face a lot of pressures before your marriage. Take this phrase out of your vocabulary: “It’s my day.” First of all, it’s not just your day – it is you and your future spouse’s day, not to mention something for your parents, siblings, friends, and other loved ones to be a part of. So it’s not all about you. That means that, among things, if you have blue-collar friends and relatives, you shouldn’t plan an expensive destination wedding that will financially devastate your family. Again, it’s not just your day. Whether or not parents are involved in paying for your wedding, you and your fiance ought to come up with a realistic budget that will provide a great wedding, but won’t cost you an arm and a leg. You don’t need to spend a fortune to have a memorable day. Things like cutting down the guest list, looking for a smaller hall, and having a less expensive meal can potentially add up. Whether you get premarital counseling with your partner or not – some religions require you to do so before your marriage — you may also want to look into getting a life coach for you and your fiancé to talk with. There are many benefits to having a life coach, such as getting clarity on what it is you want to do with your life, gaining confidence, learning how to communicate, and working on how to understand your partner. Click here to learn more about personal and life coaching.